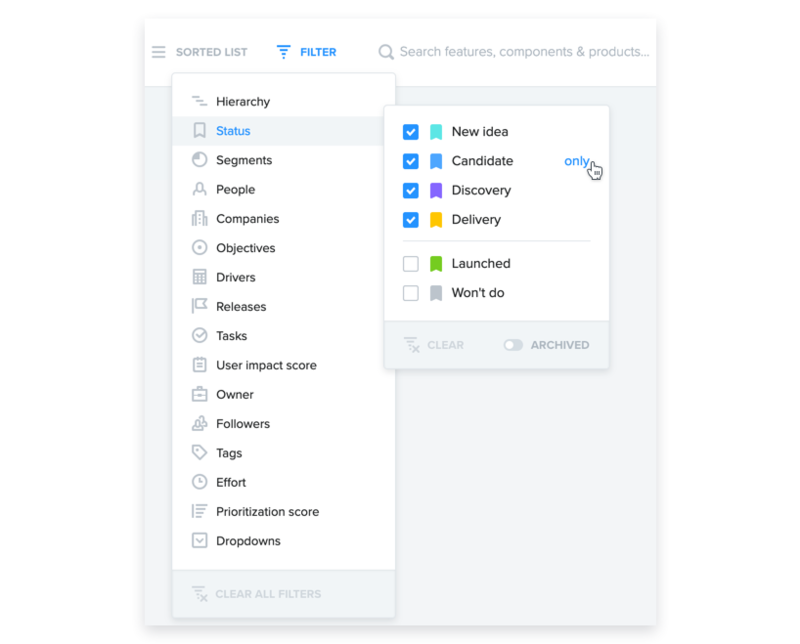 In productboard, feature status is a handy way to show what phase a feature is in within the product development lifecycle. Subfeatures and features share the same status flow. For example, you might decide only to show candidates on your board, but not new ideas. This could be helpful when you're trying to fine-tune your plans after prioritizing what to build. You can also group features on the Roadmap with status columns. 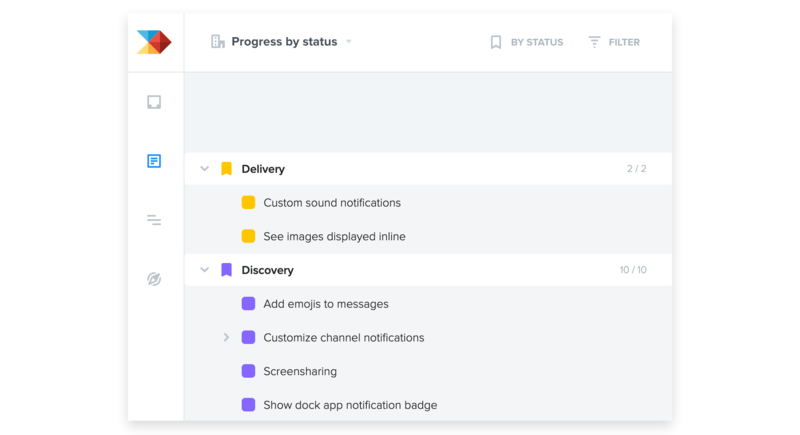 This Kanban-like view is a helpful way to track and share the progress of features through the various phases from idea through delivery. In project settings, admins can customize a project's status values to match the team's workflow. From here you can add, remove, or rename status values. The only status values that cannot be removed are the basic statuses: Candidate and Launched.However, you can rename them. Features assigned a status that appears in the lower section on the Status customization page will not appear on boards by default. 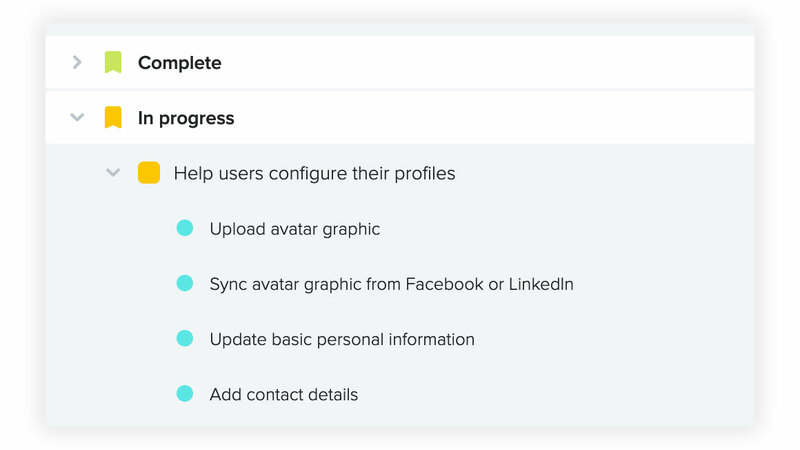 In the example above, features assigned a status of Launched or Won't do will always be filtered off of the Roadmap and will not appear in the linking popup on the Insights board. When you remove a status, there may be existing project features and subfeatures currently marked with that status. 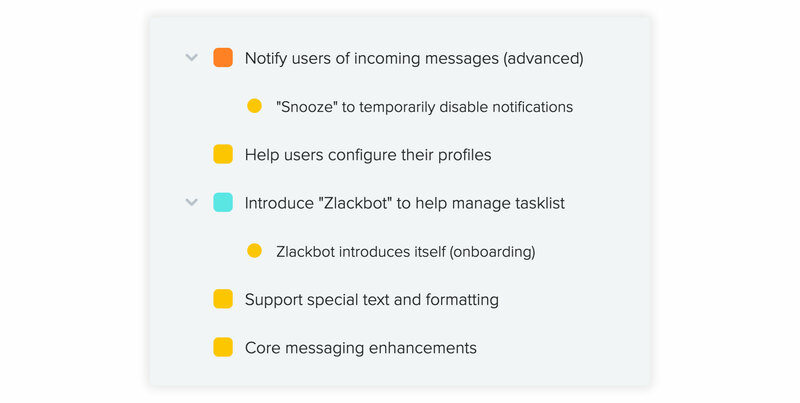 If this happens you'll be prompted to indicate which status these features and subfeatures should be assigned. New idea: For those features not yet vetted by the team or validated by other similar requests – you'll often want to filter these out during prioritization. Candidate: For feature ideas you're actively tracking. These are in the running to be prioritized. Announcement: Features that are done but waiting to be launched from a marketing standpoint. Won't do: For feature ideas you've discarded because they are not aligned with your product/strategy or are technologically infeasible. Still... maybe they'll seem more interesting a year from now. Subfeatures have the same set of statuses as features. A subfeature's status is independent of the status of its parent feature, so a feature could have status In progress while its subfeatures still have status Discovery. At this time each subfeature's status must be updated individually. 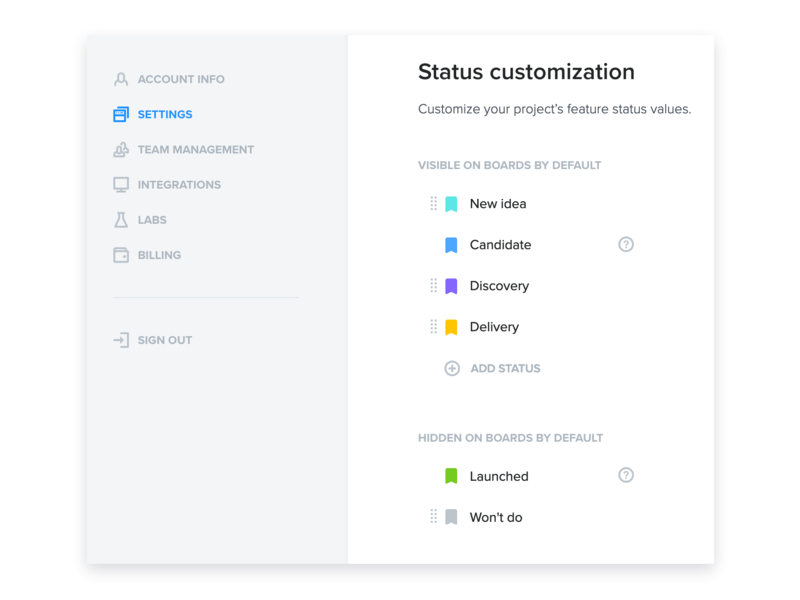 In the following example, note that when the Features board is grouped By status, this applies to features. Subfeatures of a different status will still be displayed beneath their parent features regardless.